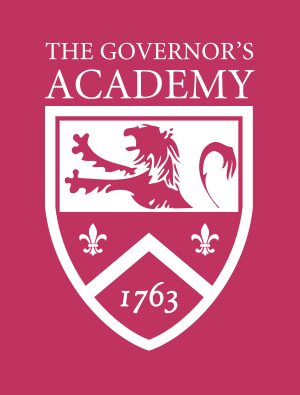 The Governor’s Academy is the oldest continuously operating boarding school in America. Founded by bequest of Governor William Dummer in 1763, the Academy opened its doors more than a decade before our nation was born. The Academy sits on a beautiful 450-acre campus, once part of a working farm with crops of rye, fruit trees, and grazing sheep. The original schoolhouse remains on the Governor's campus as a tribute to its rich history. In 1763, the doors of the Little Red Schoolhouse opened under Master Samuel Moody, the school's first headmaster. Moody was known for his philosophy of education, which strayed from the norm of the day. Instead of insisting on silence in the classroom, which he thought could be more distracting than noise, he encouraged his students to study aloud. The Little Red Schoolhouse was reconstructed in 1938 by designer William Graves Perry, the same architect selected to reconstruct Colonial Williamsburg, Virginia. Created as a guidepost for travelers more than 300 years ago, a granite rock known simply as “The Milestone” sits on Middle Road in the center of campus. It reminds us of our place in history and in New England. The road, once called "Bay Road," was a major route of travel. The Milestone shows that we are 33 miles from Boston and 5 miles from Newburyport. Over the years, the school’s name has been entwined with many famous people. Paul Revere created the first seal for the school. Samuel Adams and John Hancock signed the school’s Incorporation Charter. John Quincy Adams served as secretary to the Board of Trustees. Theophilus Parsons, a Chief Justice of Massachusetts and author of the Massachusetts Constitution of 1780, attended the Academy. Captain Edward Preble, commander of the USS Constitution and a hero of the Barbary Wars, studied here. Booker T. Washington Jr. starred on the football team in the early 1900s and Yu Kil Chun, a famous social reformer and the first Korean to study in the West, attended our Academy. The list goes on. 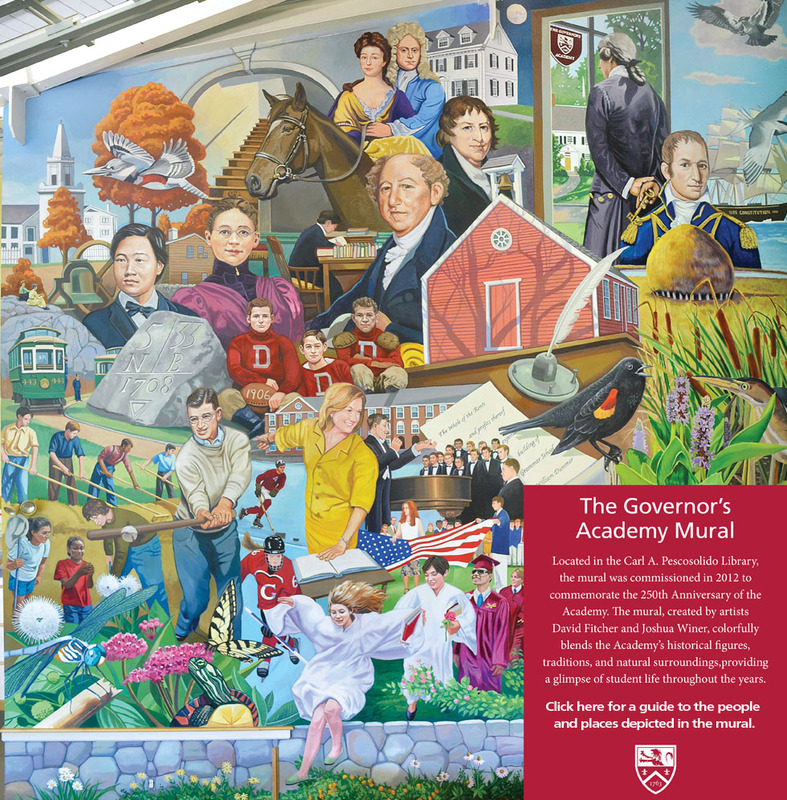 Please click here to learn the history of the Academy from this historical mural.